Where? 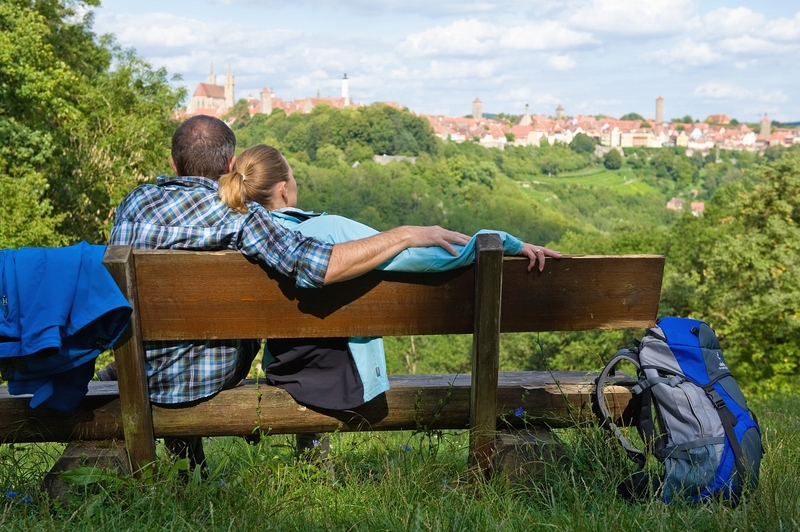 The Hiking Weeks start at Rothenburg and go out into the surrounding area. The meeting point with guides is usually in the old city. 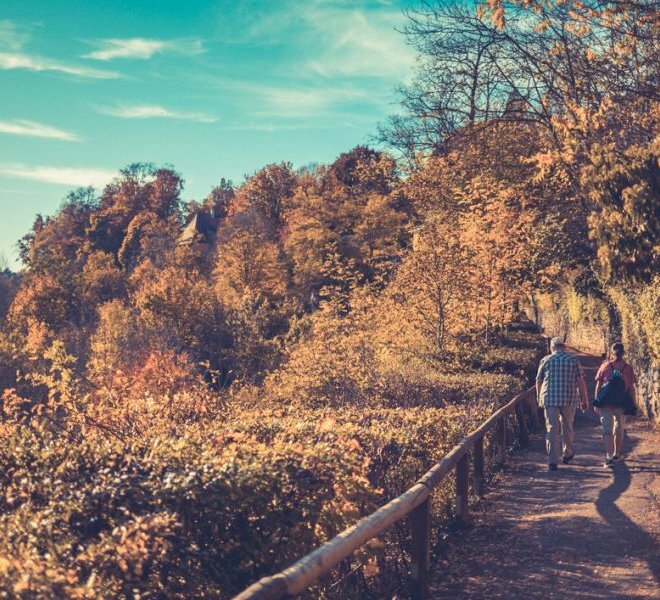 Joining hikes is free (unless explicitly stated otherwise in the program). What? 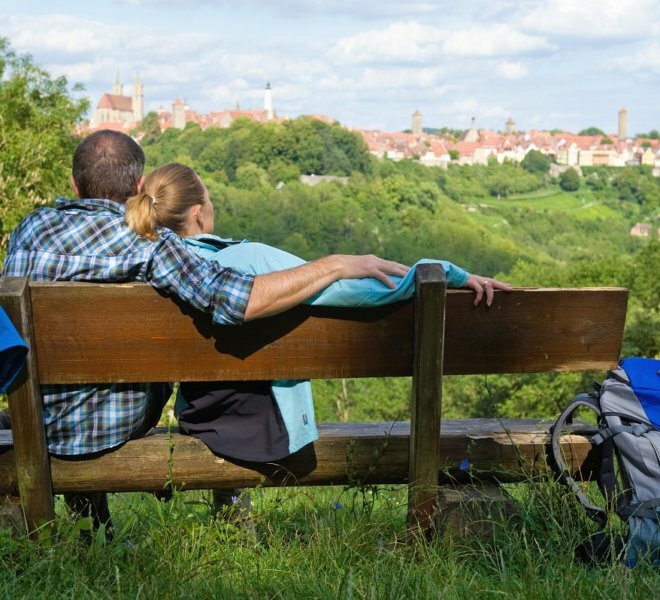 Includes short pilgrimages along the Way of Saint James around Rothenburg with Father Gußmann, as well as expert tours through the forest with a forester, a pub tour, and more conventional routes along one of the numerous hiking trails around Rothenburg. The variety available during the Hiking Weeks is enormous. At least one hike a day! Fun fact: Rothenburg ob der Tauber has 13 hiking routes. A hiking map is available from Rothenburg Tourism Office. 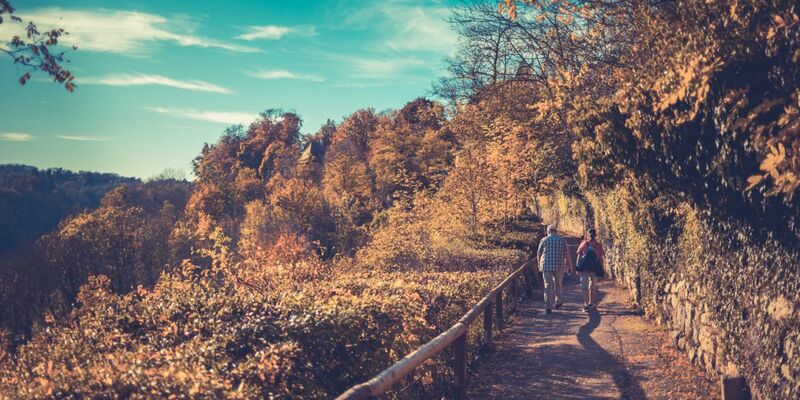 An absolute must: If you are visiting during the Hiking Weeks, you should take a short walk along the Rothenburg Tower Trail. This leads around the city walls. Most of the way along the city walls is covered, offering a great alternative on a rainy day.